Diane seems to have the perfect life. 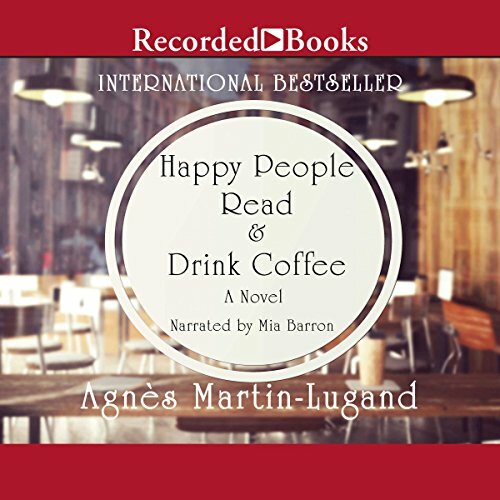 She is a wife, a mother, and the owner of Happy People Read and Drink Coffee, a cozy literary café in Paris. But when she suddenly loses her beloved husband and daughter in a tragic car accident, the world as she knows it instantly vanishes. Trapped and haunted by her memories, Diane retreats from friends and family, unable and unwilling to move forward. But one year later, Diane shocks her loved ones and makes the surprising decision to move to a small town on the Irish coast, finally determined to heal and rebuild her life alone - until she meets Edward, the attractive yet taciturn Irish photographer who lives next door. At first abrasive and unwelcoming, Edward initially resents Diane's intrusion into his life of solitude...until he can no longer keep her at arm's length, and they fall into a surprising and tumultuous romance. But will it last when Diane leaves Ireland - and Edward - for the home she once ran away from in Paris? At once heartbreaking and uplifting, Diane's story is deeply felt, reminding us that love remembered is love enduring. I tried to like this book. I really wanted to. It is well written. But I cannot. Possibly it’s a cultural thing. I detested Edward. I’ve never been a fan of brooding angry to the point of bullying love interests. He was mean and selfish and I hated him. And it ruined the book for me. This story is just ok. It has its moments. Thank goodness books such as this are being made available in English and French. Kudos Audible! The different accents used by the reader to portray the various characters was very much appreciated. Such talent! Only one star is removed in the Story category which reflects my aversion to smoking, the glorification of which is unfortunately described far too often in this book. Smoking aside, all else was a wonderful experience. Dieu Merci, des livres comme celui-ci sont mis à disposition en anglais et en français. Félicitations Audible! Les différents accents utilisés par le lecteur pour dépeindre les différents personnages a été très apprécié. Quel talent! Une seule étoile est enlevée dans la catégorie de l'histoire qui reflète mon aversion pour le tabagisme, dont la glorification est malheureusement décrite beaucoup trop souvent dans ce livre. Fumer de côté, tout le reste était une expérience merveilleuse.